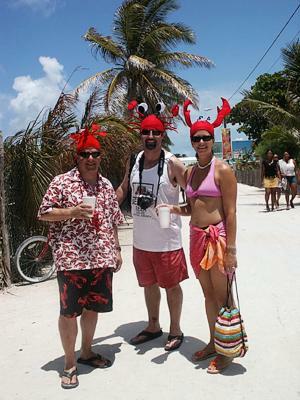 The Caye Caullker Eleventh Annual Lobster Fest was a huge success! 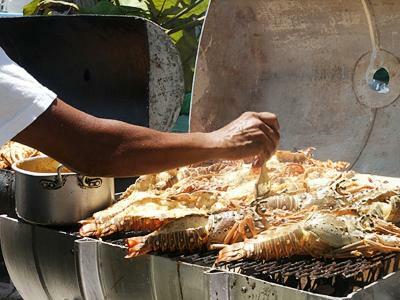 People from all over the country and world-wide flocked to “La Isla Cariñosa” to enjoy a weekend full of festivities, and of course, delicious fresh lobster. 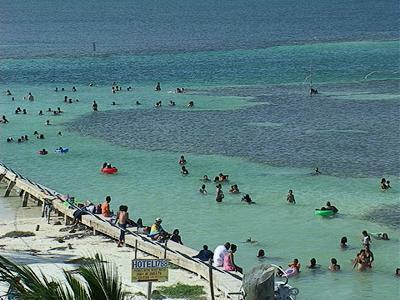 The weekend of events began on July first with the Miss Lobster Fest 2005 Pageant and throughout the weekend the crowds were entertained with live music in the evenings and special events during the day. 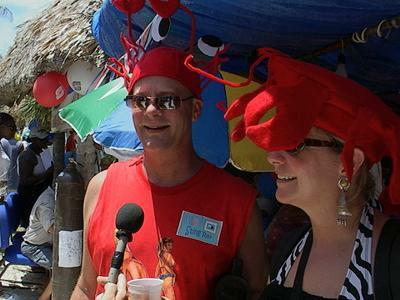 On Friday, July first, Caye Caulker Village held their annual Miss Lobster Fest Pageant. Under a grand tent, a packed crowd waited with much anticipation to learn who would be crowned Miss Lobster Fest 2005. The lovely contestants, Miss Marleny Heredia, Miss Anna Nuñez, Miss Elisia Hinks, and Miss Shandy Garnett competed for the coveted title. The festive crowd enthusiastically participated, often applauding and cheering for their favorite contestant. The evening began with the National Anthem performed by the Caye Caulker Roman Catholic School Flute Club. Following the lovely performance Master of Ceremonies, Neil Hall aka “Shadow”, introduced the lovely contestants while they performed a dance for the audience. 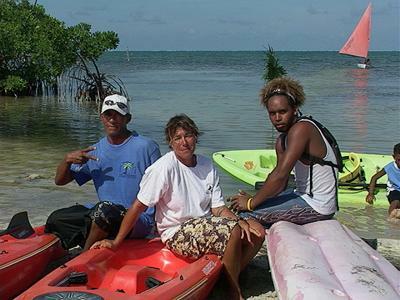 During the competition each contestant gave a presentation depicting the life style of Caye Caulker. They also modeled sports wear, evening wear and participated in a question and answer session. During the evening the entertainment included several colorful and up-beat dances performed by San Pedro’s very own San Pedro Dance Company. Other guest performances included the wild and funky street dancing of the New Generation Dancers from Belize City and Caye Caulkers own “Contagious” Dance Group. Later in the evening Miss Lobster Fest 2004, Chantel Marin, gave her final walk. After much anticipation the time finally arrived to announce the winner. The three judges, one of them being Area Representative the Honorable Manuel Heredia Jr., had the difficult task of choosing who would be the next Miss Lobster Fest. The crowd held their breath as it was announced that Miss Marleny Heredia was named first runner up and that the beautiful and graceful Miss Elisia Hinks was named Miss Lobster Fest 2005. 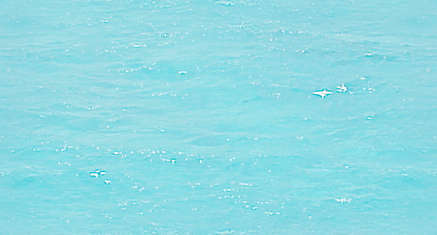 The crowd went wild, and with tears of joy streaming from her face, Miss Elisia Hinks was crowned Miss Lobster Fest 2005. The San Pedro Sun congratulates Miss Hinks for earning her distinguished title and applauds the Lobster Fest Pageant Committee for hosting a beautiful and entertaining event. We also thank the Committee for generously recognizing The San Pedro Sun during the evening.